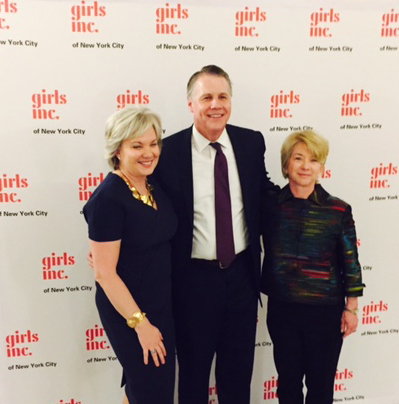 IIB CEO Sally Miller was honored with the “Strong, Smart, and Bold Leadership Award” by Girls Inc. of New York City at its Annual Spring Luncheon on April 24th. The luncheon, which also honored TD Bank Power of Women Business Resources Group, raised $400,000 from the luncheon sponsors, including a number of IIB member institutions. Since 1998, Girls Inc. has provided life-changing programs to at-risk girls in partnership with schools, city agencies and community-based organizations. Earlier this year, Sally met with a group of 10th grade girls who participate in the Girls Inc. program and spoke with them about their challenges and aspirations, as well as her own experiences.